Heya. I’m back. I’ll be posting new stuff occasionally, when I have the time to make them. 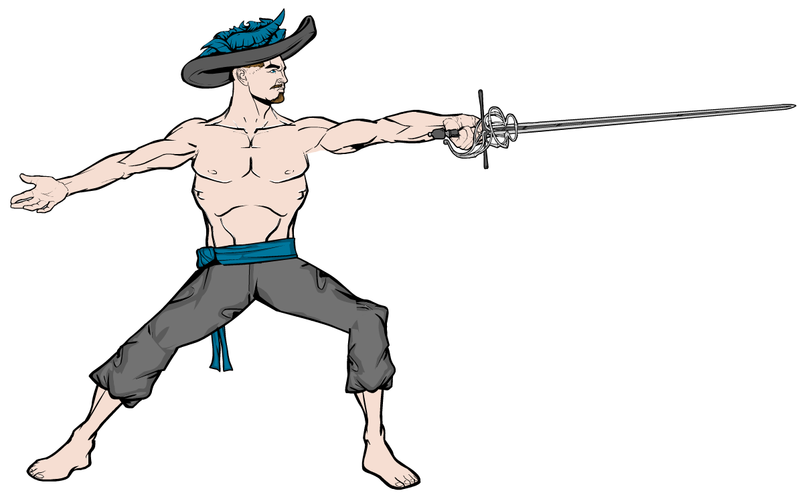 Let’s start out with a rapier posing experiment. 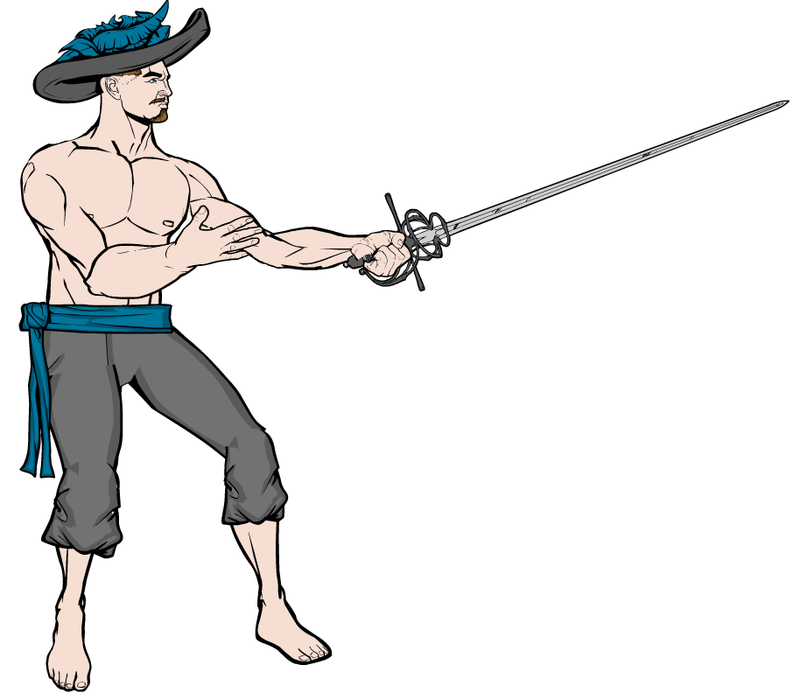 Second picture in the rapier posing set. I’m having some trouble with uploading these, and the edit code seems to be broken when it comes to images. Oh, well. This reply was modified 2 years, 7 months ago by Suleman. Looking good! But what’s up with that hat? The hat was the only angled hat available, I’m afraid. The others would just look like fedoras or cowboy hats. Let’s just say he’s a really flashy pirate and leave it at that. 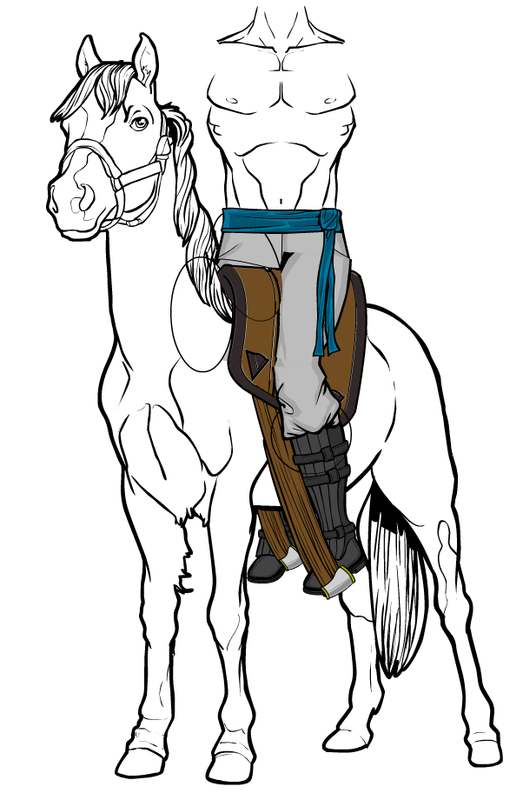 Wanted to try and make a character riding a horse. I’d say it turned out okay. I’m having trouble making original poses, but your’s are great : ) and the horsemen’s pose its the best one I’ve seen so far here on the forums, I mean, that’s the way u actually look when riding a horse (the pose, not the clothes and/or sword, lol) …anyway, maybe his left arm is too big compared to the right one, but that’s a technical detail, and has little to do with the pose. The horseman’s pose is actually pretty simple. It doesn’t actually differ that much from a normal standing pose. The horse I used is far easier than the one in the Companions-Vehicles section. Now if only I could make stirrups and a saddle. As an added bonus, here’s the rider with the masking shown and with a quick background. I made the left arm smaller, and I agree, it was a bit too big before. The pants and the… let’s say saddlecloth, for the lack of a better word, seem to disappear because I’ve masked a horse on top of them. I made a copy of the horse with the exact same size, location, etc, and masked it on that red circle you see in the picture. That way it goes neatly on top of the crotch, the belt and so on, without going above some other elements. It’s very handy in some situations. The two red rectangles show where I masked two ropes to make the reins. I wasn’t satisfied with any of the available items (belts or such), so I improvised. That’s the creative way to do it : P …I got it now, I just couldn’t figure that one out… now that you told me, it seems pretty obvious… hate it when that happen, lol. Thanks a lot for teaching me : ) I would definitely use that from now on! …hey, I just noticed now u should make the first rope on the reings to be tight, n then the other falling from the hand (making a “U”), it makes more sense; the horse is standing still, so the man should be stoping it, not letting him loose. Technical details again, lol. I decided to try and make a saddle in Heromachine. Here’s what I’ve got so far. Used that as a base to create a new horse riding character. This time, some sort of barbarian champion. Who knows, maybe I’ll try and make some more riders. Like a knight, perhaps? 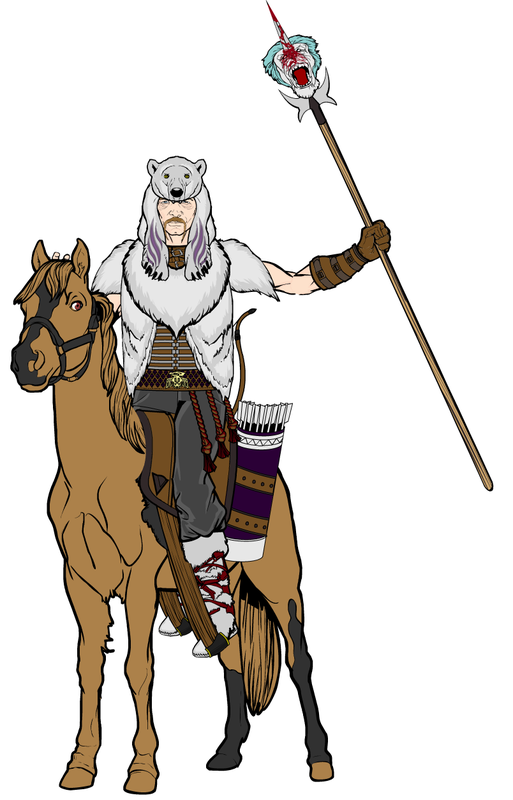 Or a mongol horse archer? We shall see. Nice posing and facial expression, but the masking on the last one isn’t quite as solid as previously. Great work with the saddle, though. Which parts in the masking do you think need work? 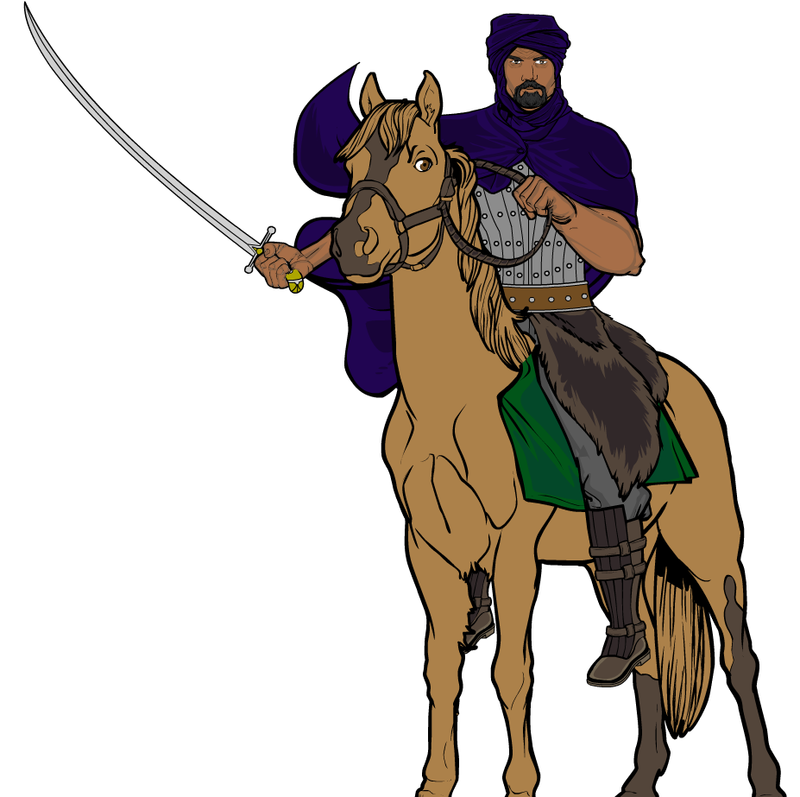 Here’s a third horse riding character. 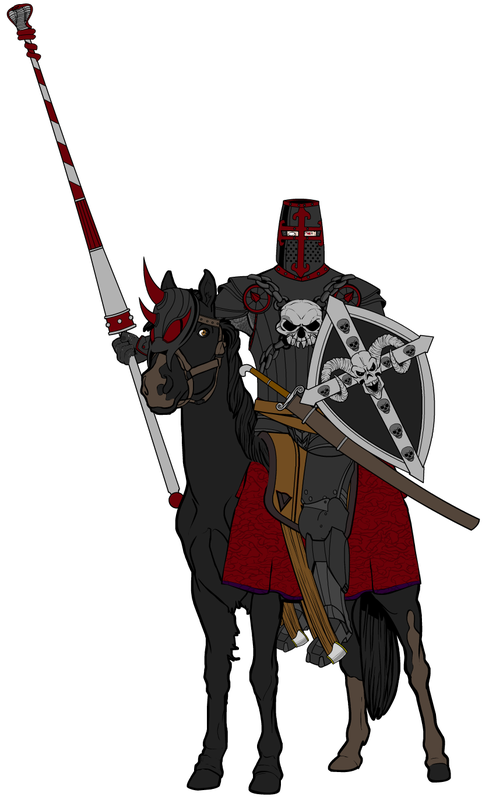 This time, it’s the evil Skull Knight, about to joust with the hero of the story or something. 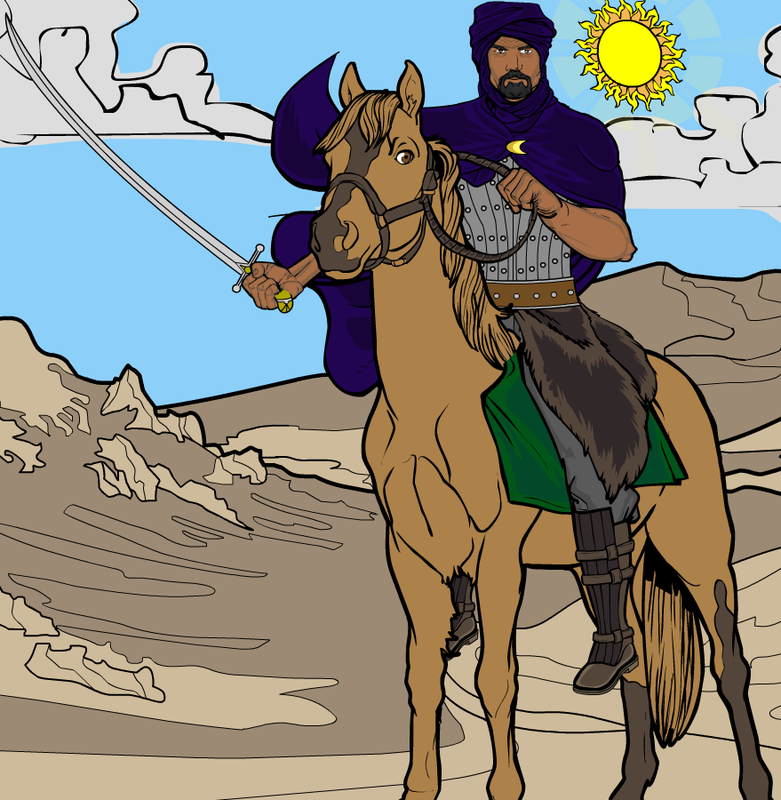 I put a ton of detail work into this one, such as the barding, the reins and a whole lot of other things. Maybe even too much detail, I dunno. I think it turned out alright! 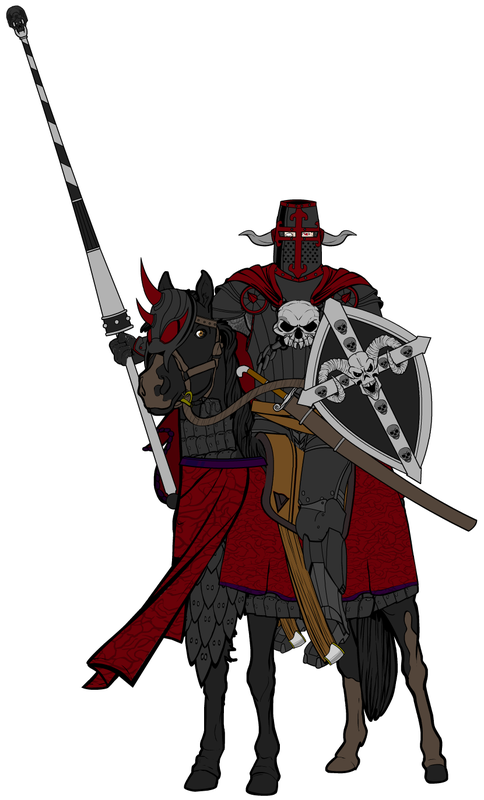 As an added bonus, here’s an alternate, earlier version, with a different kind of lance and far less detail. 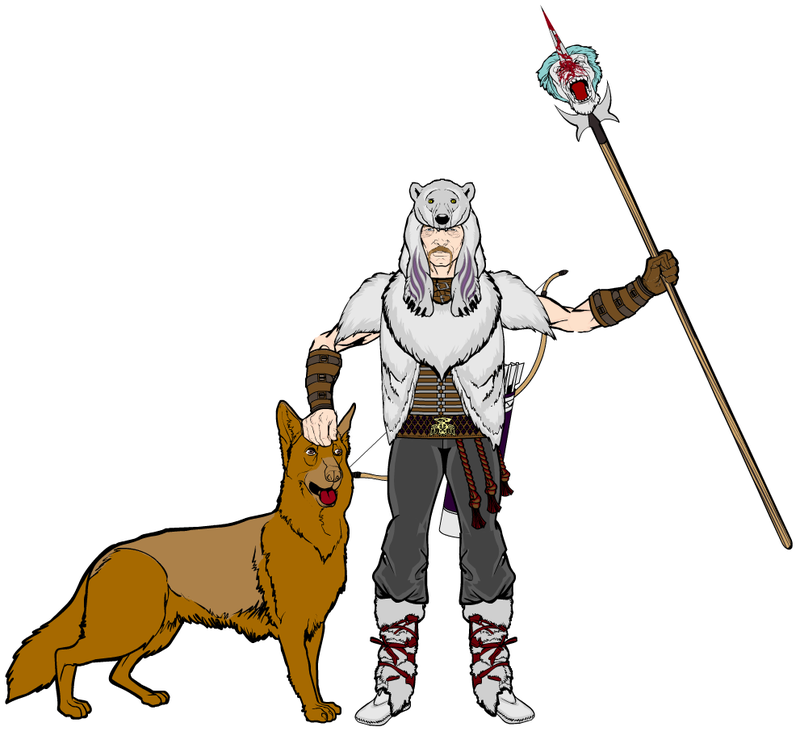 While I’m at it, have a standing version of the earlier tribe champion character. Also featured: dawg. Yeah, this was pretty lazy, but I just wanted to see how the character would look unmounted.